Our Edison Vintage Style LED lamp is ideal for home, hotel, bar and restaurant, applications. 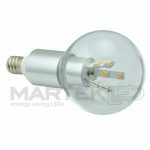 Get the old-fashioned look you desire with the modern energy savings of LED light bulbs. 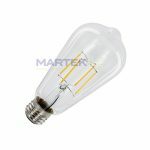 120V, 6W, Dimmable. 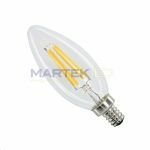 This LED is available in the following color temperature: 2700K Warm-White, 400 Lumens. 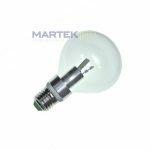 This LED is also offered with our shatter-resistant safety coating for open fixture use in restaurants, bars, and other food service applications. 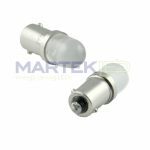 Click here for our safety coated version of this LED.